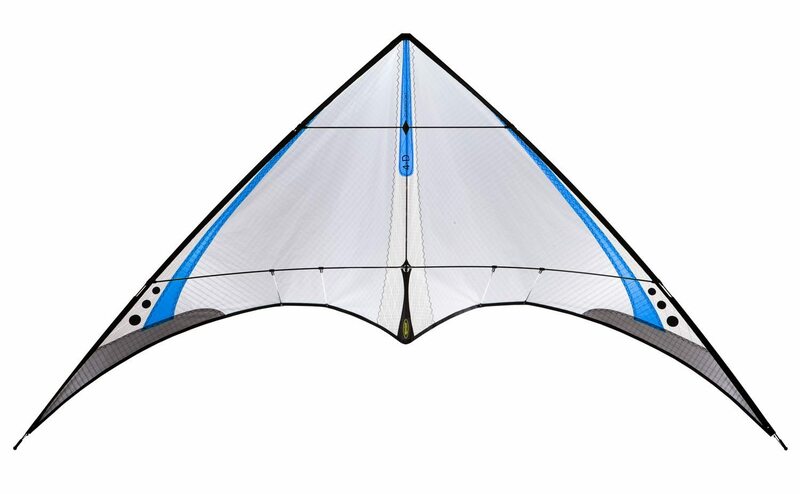 Anywhere, anytime, the 4-D makes stunt kiting a blast when nothing else will fly. 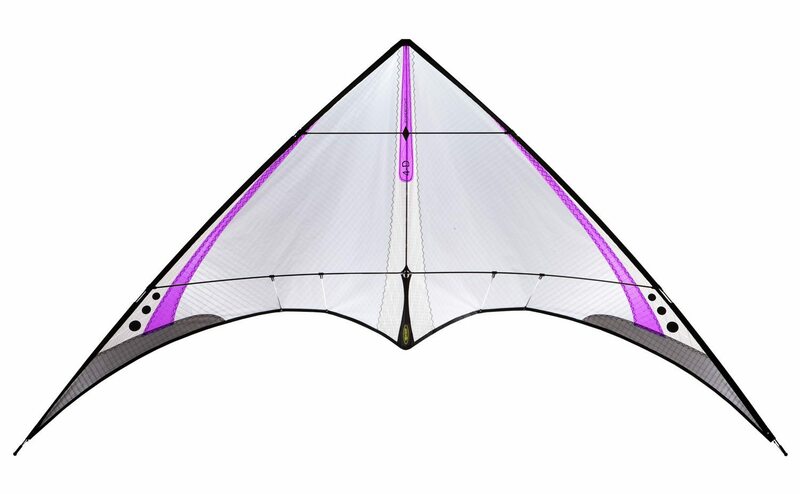 Its 58″ wingspan makes small spaces big so you can fly in tight quarters with ease. 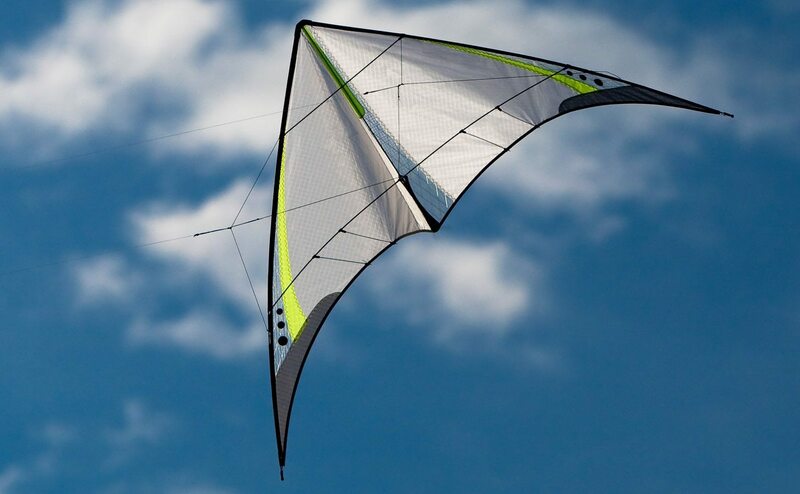 At barely 2-1/2 ounces, its gossamer wing gives it the buoyancy to stay aloft in swirling zephyrs and even indoors. 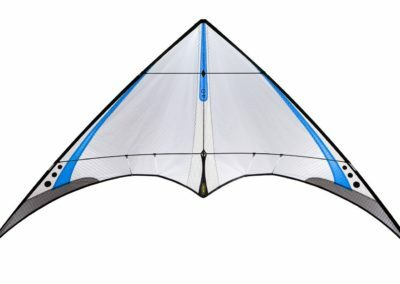 In moderate winds, its resilient solid carbon frame and carefully reinforced sail make it a ively, repsonsive performer that’ll add spice to all your adventrues, even when space is at a premium.